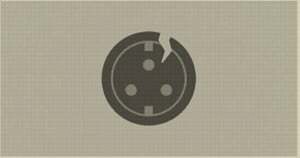 Dented Socket is an Crafting Material in Nier: Automata. A total of 32 Dented Sockets required for all upgrades. Dented sockets can be farmed near the Abandoned Factory: Furnace transporter. The area has two places that have multiple Multi-leg Medium Models climbing on the walls, both accessed from the room with the dumpster of discarded small and medium bipeds. Most of the enemies are found behind the door that can only be accessed with hacking as 9S. Also sold in route B in the Underground Colleseum in the Forest Kingdom. Also drops from the multi leg near the City Ruin: Cave tranporter.